Looking for an exciting and memorable winter experience? Do you want to learn to mush your own team but only with a kennel who has the highest dog care standards? 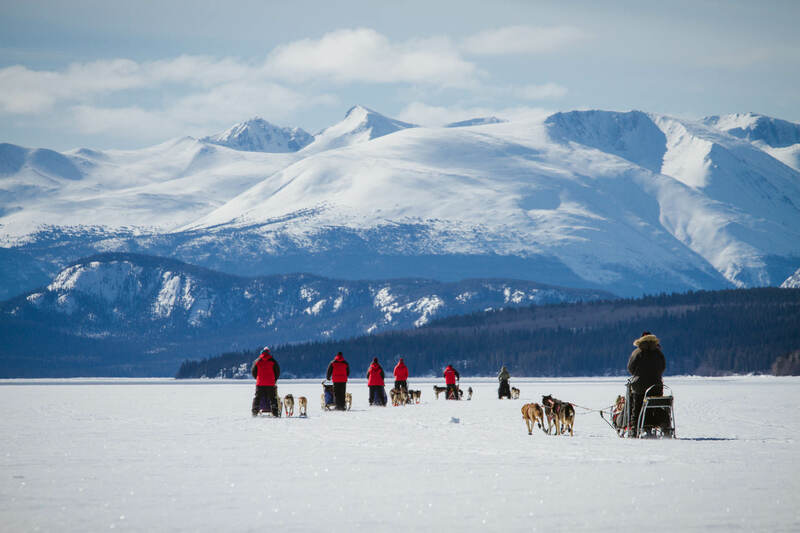 Come to Tagish Lake Kennel to learn from Iditarod and Yukon Quest veterans Michelle Phillips and Ed Hopkins and their team of happy, friendly canine athletes. Sit back and enjoy a short guided sled dog ride on our most scenic trails. Learn to mush your own team in this four-hour authentic experience. Customized multi-day adventure leading your own team through a snowy paradise. 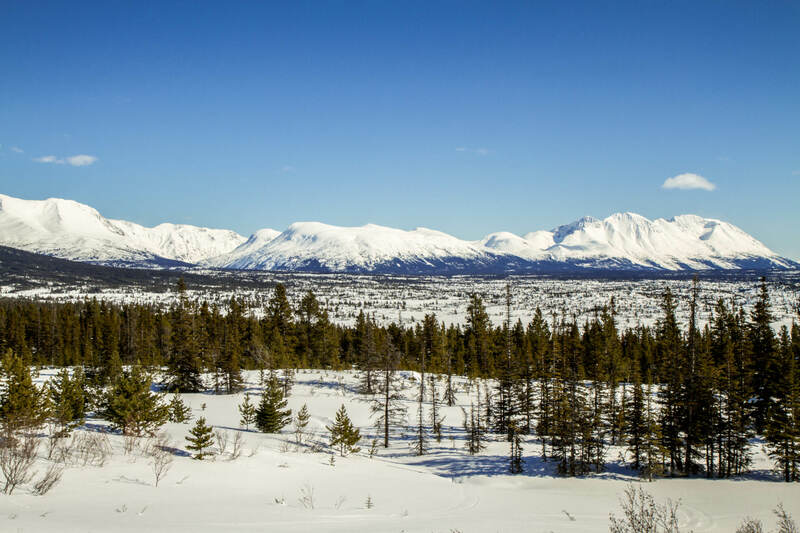 Whether it’s for just one hour or half-the-day, with a large group or on your own, we offer comfortable, authentic dog sled rides across some of the most scenic mountainous wilderness the Yukon has to offer. Price: Dependent on group size and duration. Call or email for more info. Spend the better part of a day learning all the mushing basics. 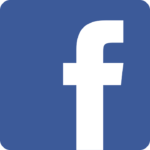 We’ll teach you dog care, sled steering, canine commands, safety and equipment use. Then we’ll go for a ride on our breathtaking trails—your choice of solo or tandem with a guide. A delicious campfire lunch is provided. Join us for a mushing trip of a lifetime. 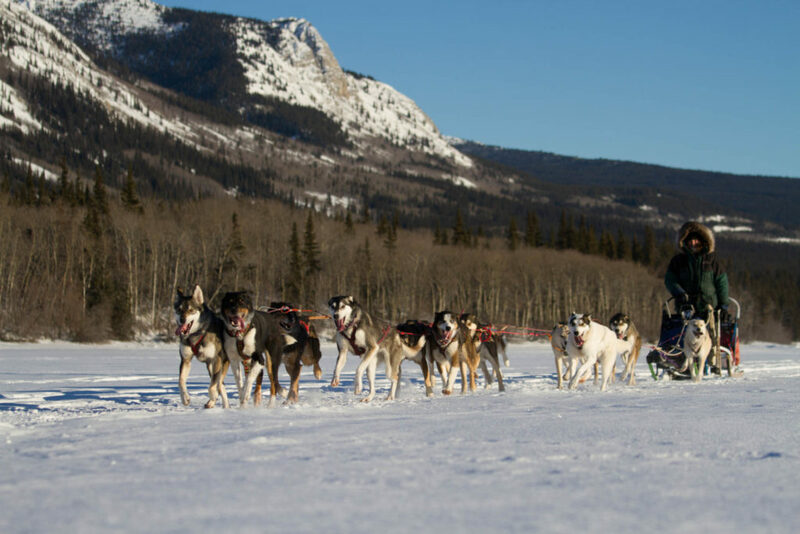 With your own team of loyal and well-trained sled dogs, mush alongside your personal mushing instructors, veterans Michelle or Ed on a trip custom-tailored to meet your wishes. 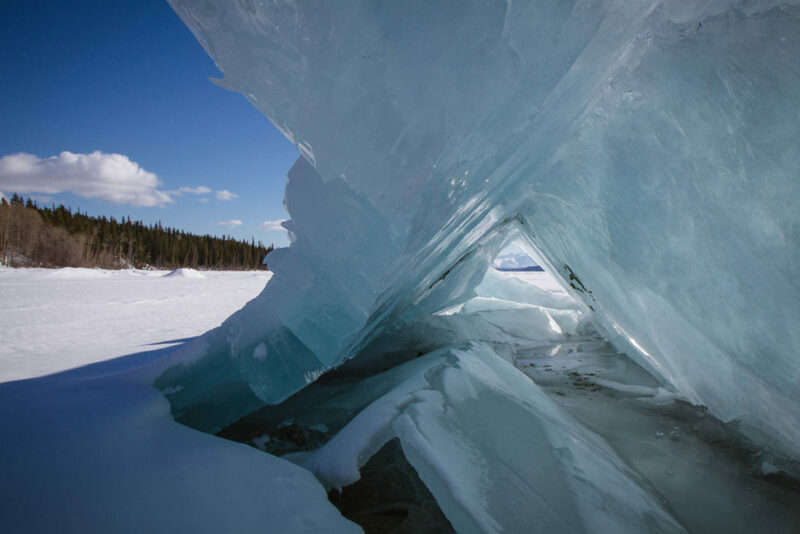 We’ll sleep in warm, wood-stove heated “Arctic Oven” tents, eat luxury wilderness meals, and mush our teams through the gorgeous mountain trails around Tagish Lake. 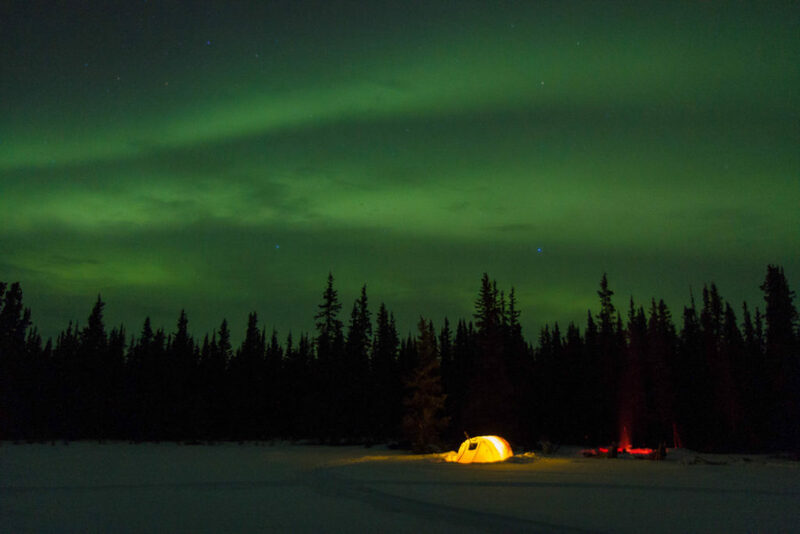 Northern Lights provide the evening entertainment. Let us take you on an adventure of a lifetime! Dog mushing or wilderness experience is NOT needed for any of our programs. 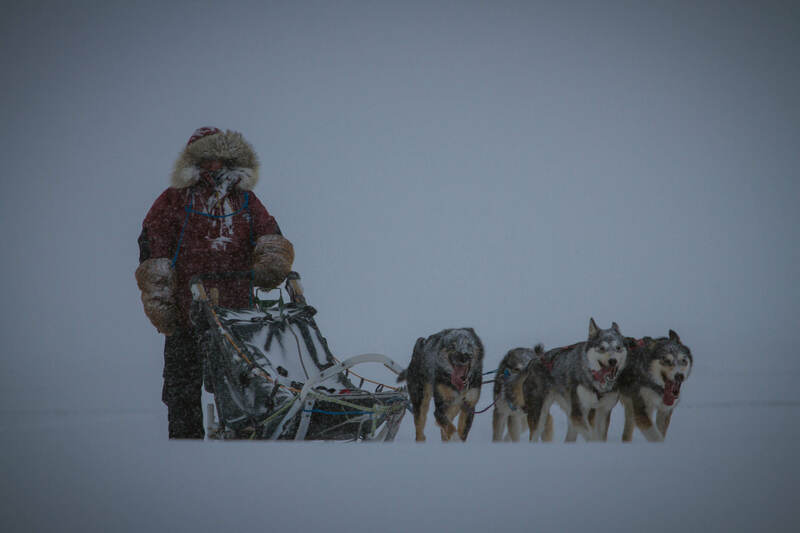 Fitness: For Ride on the Wild Side sled dog rides, no specific fitness is necessary. For Mushing 101 or for Winter Wonderland Custom Tour, you will need a moderate fitness level as well as good balance: skills similar to cross country skiing. Please fill in our health form prior to signing up, so we can make sure the program suits your physical condition. Program and prices may change without prior notice. All activities are subject to weather conditions. We recommend travel/health insurance for your trip as no refund is available for activities cancelled due to weather. Please refer to our Terms and Conditions prior to booking. 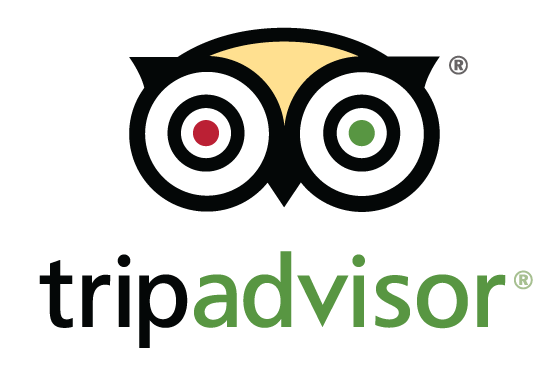 All of our guests are required to sign a liability waiver prior to arrival. You will receive the waiver form together with your booking confirmation. Thank you!